Some 20 residents at Tenderloin Station’s community meeting last month wanted to know what the police planned to do about the drug dealing near schools. Neither do police, apparently. Drug dealers, they said, are oblivious to the increased penalties that might be levied out for dealing within 1,000 feet of schools. Other tools that might be effective, such as getting a judge to prohibit a known dealer from walking into the community — known as “stay-away” orders — are increasingly difficult to get, officials said. “There was a judge who told me ahead of time, ‘I don’t sign stay-away orders, so don’t bother,’” said Assistant District Attorney Thomas Ostley of the Crime Strategies Unit. The Tenderloin police district, which covers the triangular area bordered by Geary, Market and Larkin streets, is the smallest of San Francisco’s 10 police districts. Almost everywhere you step is within 1,000 feet of a school, a boundary normally considered a “drug-free zone.” Nevertheless, dealers operating near schools are rampant. He was referring to a map of the Tenderloin police district, which shows circular areas that are within 1,000 feet of a school. 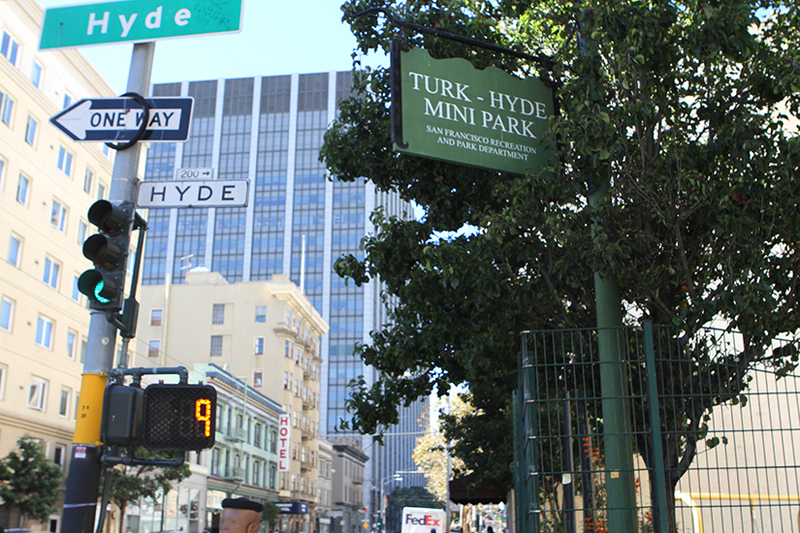 Several residents and Ostley said the corner of Turk and Hyde is a particularly problematic zone. In addition to being the site of a popular playground, it is a notorious spot for constant drug transactions. Even with the increased penalties, law enforcement officials are not seeing prosecutions. “Is the enhancement really going to do anything? The answer is no,” said Ostley, who noted that the courts often drop cases once the defendant agrees to a stay away order. 5 Below Market Rate (BMR) Rental Apartments available at 3000 23rd St., San Francisco, CA 94110. Applications must be received by 5PM, Nov. 7, 2017, and must either be submitted online here or mailed in with a self-addressed stamped envelope to: 3000 23rd St. BMR, P.O. Box 420847, San Francisco, CA 94124. Applications available here or picked up from an agency listed here. Nevertheless, San Francisco Police Department Lt. Hector Jusino promised residents that the efforts would continue through the transition period during which the Tenderloin Station, lead by Capt. Teresa Ewins since 2015, would be getting a new captain. Ewins, who was not at the meeting because she is on vacation, was promoted earlier this month to commander. Jusino, who has been named acting captain, said nothing would change until a new captain takes charge. The new station captain will be Lt. Carl Fabbri. I’d like to know the name of the judge refusing to sign “stay away” orders. Otherwise this coverage is useless to citizens who can and will make some noise to the DA and the mayor’s office. OK? Let’s see some follow up on this story. Thanks!